Definition: An odontogenic epithelium neoplasm with a thin keratinized lining. Internal: Radiolucent (unilocular or multilocular). Other: Tendency to grow along the jaw with minimal expansion. Number: Single. If multiple, an underlying syndrome should be considered (basal cell nevus syndrome/Gorlin-Goltz syndrome). How to distinguish between ameloblastoma and keratocystic odontogenic tumor on radiology,as they are both cause expansion and root resorption of adjacent teeth? 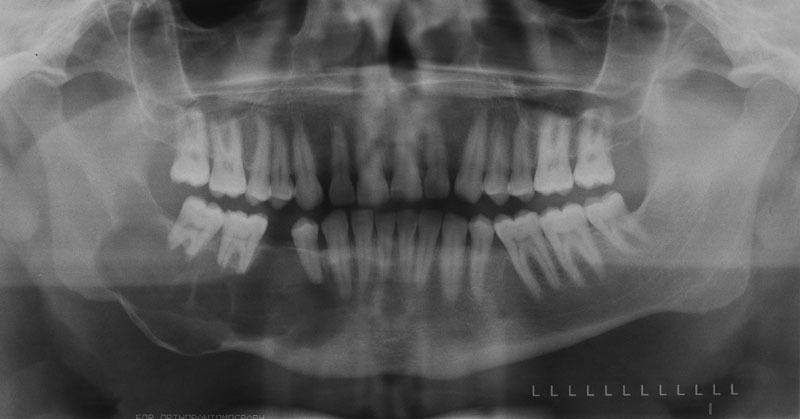 Ameloblastoma – tends to cause more resorption of teeth and expansion of bone first. Keratocystic odontogenic tumor – grows along jaws first. But since both have very similar radiographic appearances and locations that they occur you should always have both of them in a differential list if you are considering one of them. It depends on location, size and other surrounding anatomical structures. Typically enucleation is done but each case is slightly different.